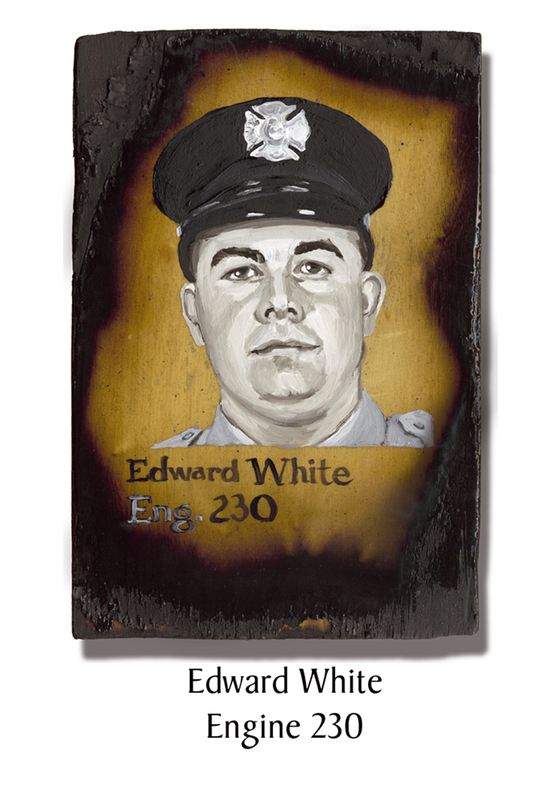 Edward White III, 30, had been with the FDNY for three years. Nicknamed “Teddy,” White was a big sports fan: watching football, playing golf or softball, coaching baseball and basketball in the neighborhood. This big Yankees fan enjoyed collecting baseball cards and other memorabilia. One of five siblings, White’s brother Billy joined the FDNY after 9/11. He left behind a 2-year-old daughter. This entry was posted in Better Angels Stories and tagged 343, 9/11, better angels, Dawn Siebel, Edward White, Engine Co. 230, FDNY, firefighter, firefighters, firefighters of 9/11, LODD, Manhattan, memorial, NFFF, paintings, portraits, World Trade Center, WTC. Bookmark the permalink.